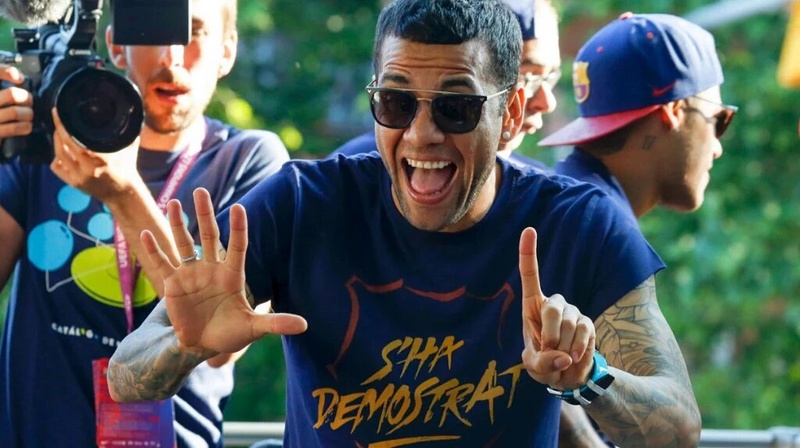 Following the confirmation of his exit from Barcelona FC, Dani Alves has penned an emotional letter to his fans on Instagram. The right-back who joined the Spanish giants in 2008 is expected to sign a two year deal at Serie A champions Juventus. 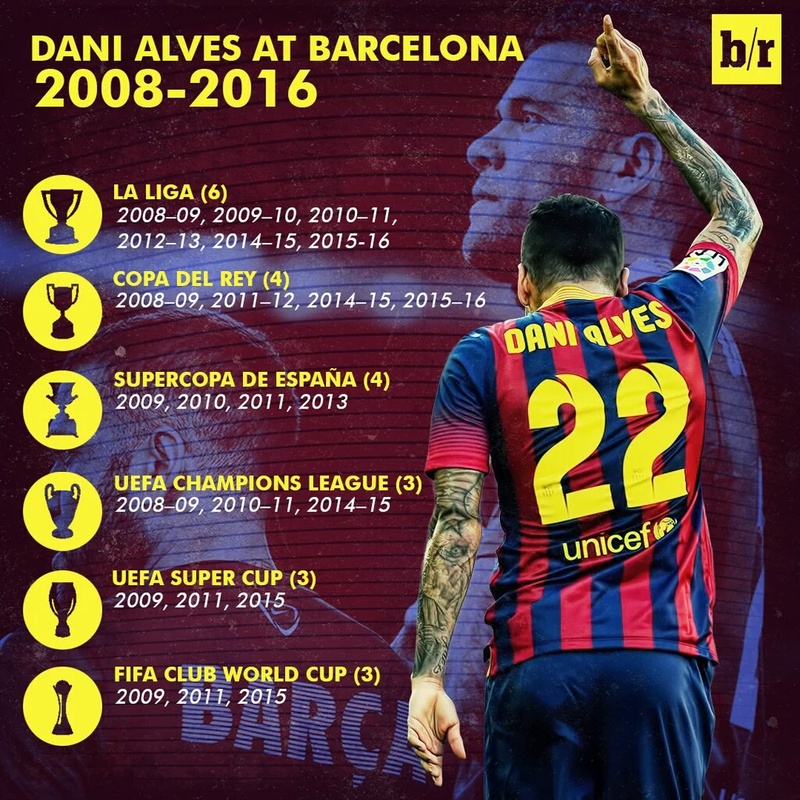 During his 8-year spell, the 33 year-old won 23 trophies including three Champions League winners medals and six La Ligas. Read his goodbye letter below. “In one month it will be eight years since my arrival at FC Barcelona. In July 2008, I joined this club and I took the kit in which I have lived the most important accomplishments of my career. From day one, from the first training under the orders of Pep Guardiola, until the last of this last season, I have had the fortune to passionately enjoy my football. I could mention one by one all the extraordinary people with whom I have had the pleasure of overcoming challenges and difficulties in the many ways that have been presented throughout this time, but I prefer to give them a set thanks, because in the Barcelona locker room there is no room for individuality: We all win, we all lose. And we work together. And pulling the ship, presidents, ‘misters’ (managers) coaching staff, club workers … all of them thank you very much because they have always rewarded my efforts with their trust and support. Kefee’s crew member speaks about her last moment. VETERAN ACTOR, LEKINSON DIES OF HEART-RELATED AILMENT.